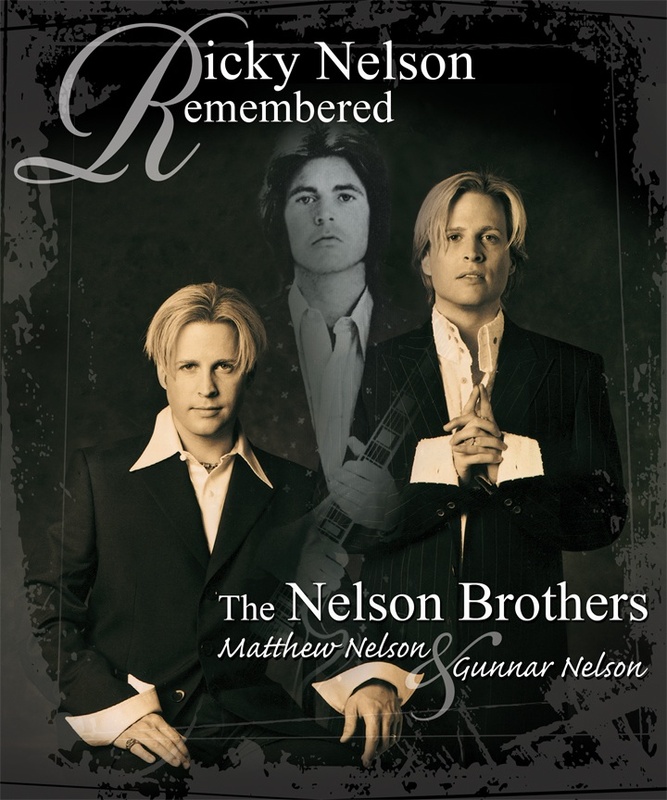 The Nelson Brothers announce 'The Ricky Nelson Remembered Tour' starring Matthew & Gunnar Nelson and The Stone Canyon Band will perform a free concert in Millington, TN as part of the Flag City Freedom Celebration event July 3, 2008 at Navy Lake. The identical twin sons of Rock'n'Roll Legend Ricky Nelson, whose own pop/rock #1 hits include "Love and Affection", "After the Rain", and "More Than Ever" are donating this free concert to show their support for the military and their families here at home and give something back to honor those who serve their nation. 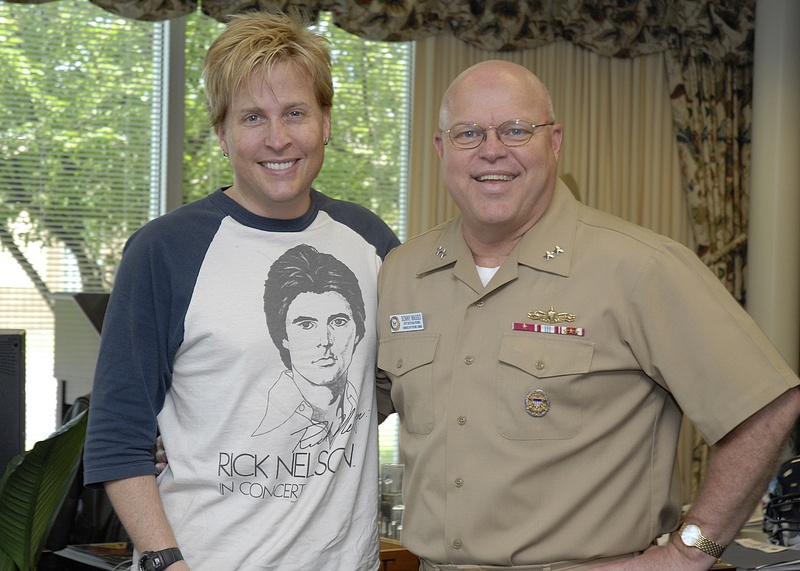 The Nelson Brothers announced today The Ricky Nelson Remembered Tour starring Matthew & Gunnar Nelson and The Stone Canyon Band will perform a free concert in Millington, TN as part of the Flag City Freedom Celebration event July 3, 2008 at Navy Lake. 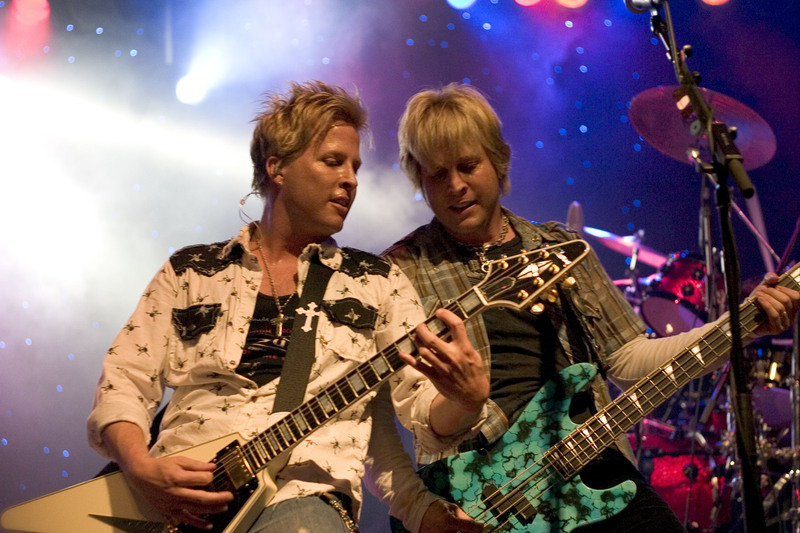 Matthew Nelson and Gunnar Nelson are the identical twin sons of Rock'n'Roll Legend Ricky Nelson. Their band, rock group NELSON whose pop/rock #1 hits include "Love and Affection", "After the Rain", and "More Than Ever" will perform at 6pm on Thursday evening, July 3rd. The Nelsons are donating this free concert to show their support for the military and their families here at home and give something back to honor those who serve their nation. "Ricky Nelson Remembered" is the unique headline tribute show featuring their late father's popular music including all his chart topping famous hits such as Ricky Nelson's "Travelin' Man", "Hello Mary Lou", "Poor Little Fool", "I'm Walking", and "Garden Party". The full production show touring the country stars the grandsons of TV's Ozzie & Harriet. "Military families make extraordinary sacrifices everyday and carry heavy burdens," recognizes Matthew Nelson, "so we wanted to share our Pop's music to lift some spirits, have some fun and enjoy a great evening together celebrating our country's independence and freedom." "We have tremendous respect for all our service men and women in uniform and the incredible families who love and support them," adds Gunnar Nelson. "So we invite everyone, military or civilian, to come out and enjoy our music and spend a fun evening with the Nelson Family". The Nelsons have been working with United States Navy Rear Admiral Sonny Masso, to bring this free public concert event to Sailors and their families. Masso leads Navy Personnel Command, headquartered in Millington. "The Nelsons come from a long line of patriots," Masso acknowledges. "In addition to Ozzie, Harriet and their father Ricky, their great grandfather, Frank Knox, was Secretary of the Navy during World War II. This will be a fun evening for the whole family, and I'm grateful to all those who are making this event possible for our Sailors, our families, and our local Memphis community. Gunnar and Matt love our sailors and service members from all services and have sacrificially invested themselves in coming here. They are bringing with them some other world class musical talent -- Jeffrey "Skunk" Baxter, formerly of Steely Dan and the Doobie Brothers, as well as their father's and Elvis' former lead guitar player, Rock and Roll Hall of Famer, James Burton. This event will be magnificent!" 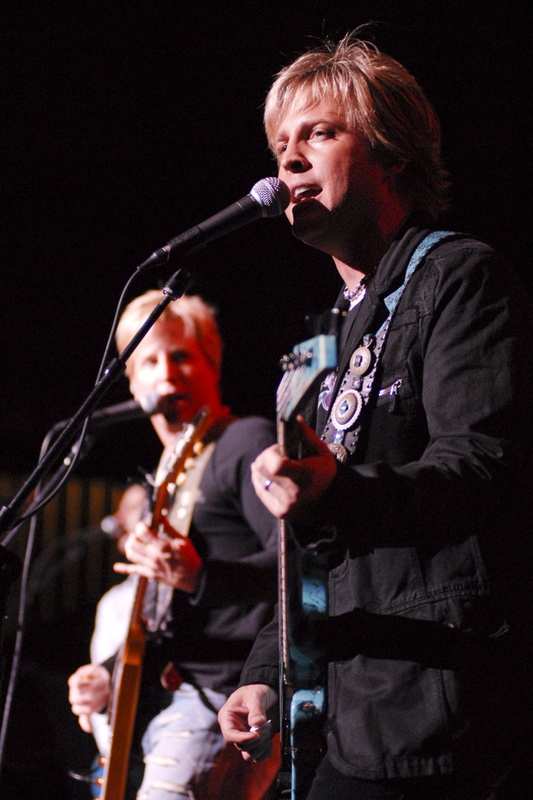 The "Ricky Nelson Remembered Tour" starring Matthew & Gunnar Nelson and The Stone Canyon Band kicks off at 6pm Thursday, July 3rd at Navy Lake in Millington, TN (25 minutes north of Memphis). Flag City Freedom Celebration is free and open to the public. Gates open at 5pm and will feature carnival rides, and fireworks. The public is welcome to bring picnic baskets, coolers, blankets and lawn chairs. For more information on the event call (901) 874-5555. Visit The Nelson Brothers' official website at http://www.TheNelsonBrothers.com.